Oh my friends. I have the biggest treat for you, and I am so excited to create this post. I can't even describe how happy I am to share about these bunnies, and the talent behind them. Last summer, a box arrived for Julia, from my husband's cousin, Danielle. Danielle is just sort of this....angel. She's lovely, she's kind, and she's the type of person who brings beauty to everything she touches. And she's wildly talented when it comes to all things creative with sewing and knitting. Anyway this box arrives. Julia opens it, and nestled in tissue was the most beautiful hand made fabric bunny doll I have ever seen. Julia and I stared at each other with our mouths open. Then I started to cry. Julia had just received something that we will treasure forever, and hand down to grandchildren! 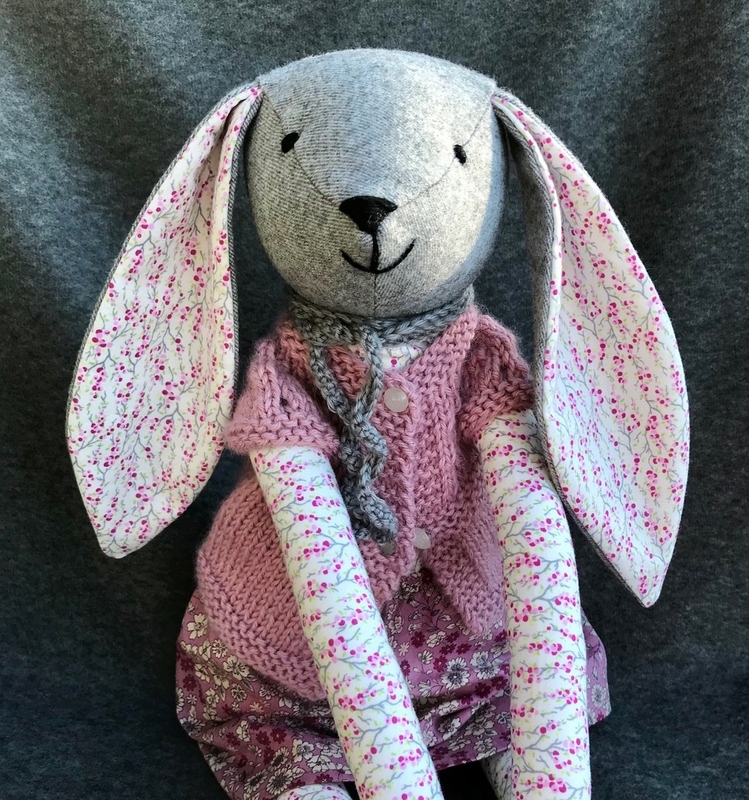 We knew that Danielle had been creating bunny dolls as a way to pass the time and keep her mind diverted from constant worry, when her daughter Isabella spent half of this past year recovering from viral meningitis. But we had NO idea how spectacular they were until one showed up at our house. 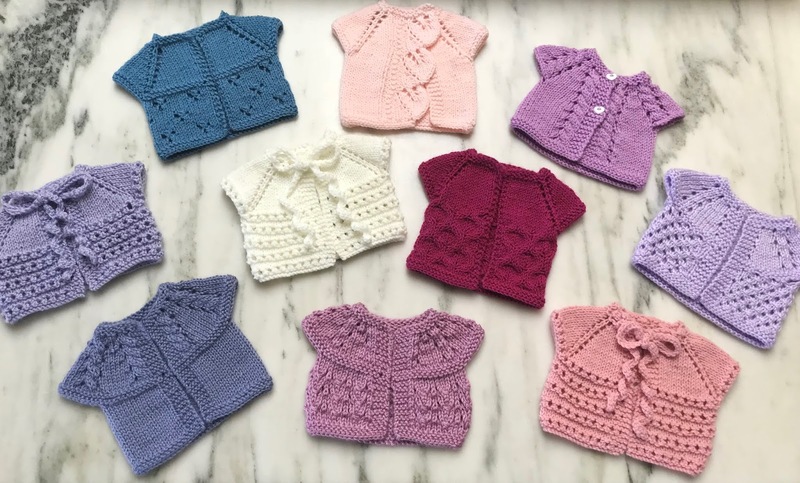 I immediately FREAKED OUT, and asked Danielle if she was planning on making and selling these beauties, and her answer was yes. Now unlike me, who woke up one day last winter and decided I AM SELLING BOOK BOXES NOW, with no real plan in place (still pretty much operating that way ha ha) - Danielle took her time, created an inventory of bunnies, designed a beautiful website, and got her ducks, I mean bunnies, in a row. Please admire my wit. Or forgive it. Your choice. And behold the results. Danielle named her new business, Bella's Bunnies, and words seriously fail me in expressing how beautiful and charming these bunny dollies are! 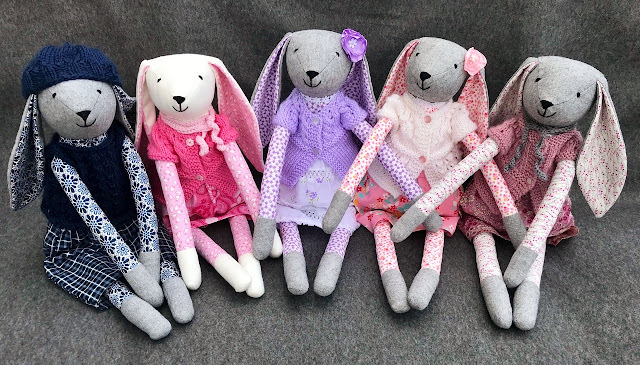 First of all, the dolls are big enough to hold and hug in your arms - they are 23 inches tall, and they are sturdy and double stitched tight as a drum. They are so meticulously well constructed. And the feel of them - SO soft, and their flannel faces have the most charming and gentle expressions. But let's talk about the CLOTHES. 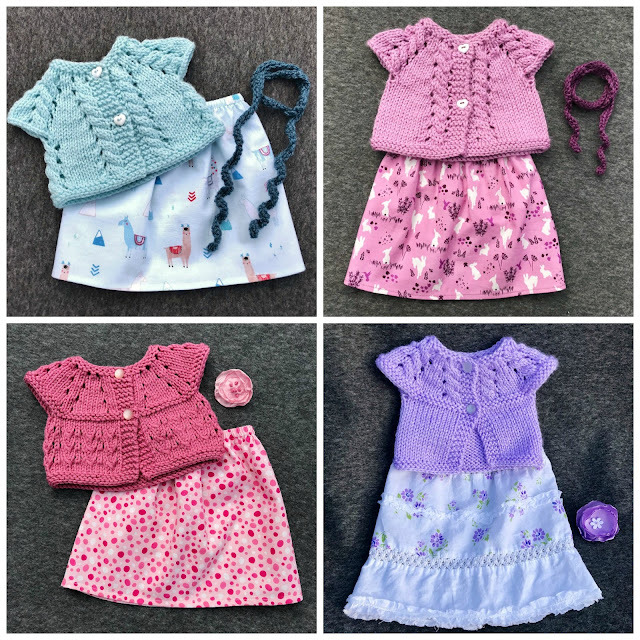 Danielle hand knits the sweaters, and then pairs them with matching skirts, pants, hats, and/or scarves that she also creates. As pretty as these look here, they are even more exquisite in person. LOOK AT THOSE SWEATERS. Are you losing your mind?? So. 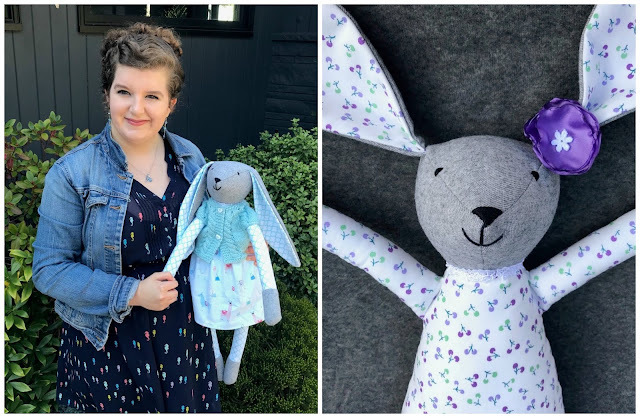 A few things - you need to read the full story about how these bunnies came to be, and why Seattle's Children's Hospital benefits from each bunny sold. Then you are going to want to read THIS, which tells alllllll about the bunny specifications and details. 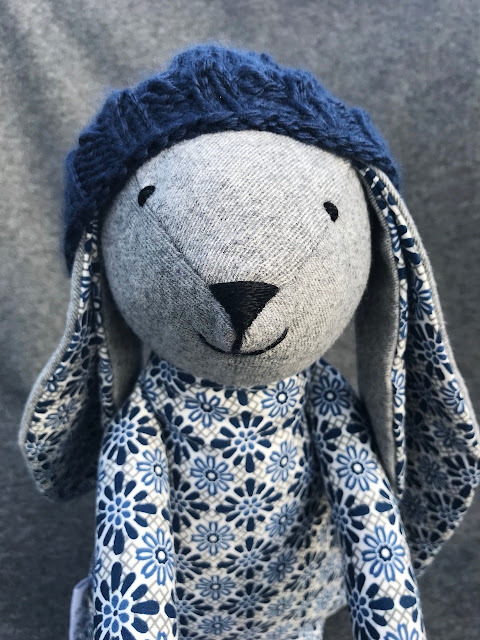 And if you are ready to shop, you need to click HERE where you can gaze at even more bunny doll goodness. 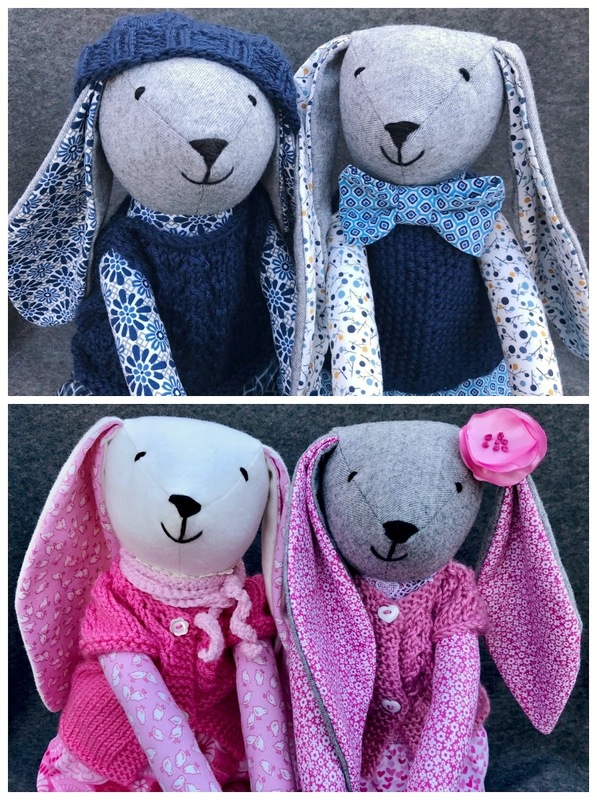 No two bunnies are the same - every doll is handmade, unique, and you guys - these are HEIRLOOM quality. Each doll is priced at $125, and please believe me when I say that these would make the best holiday gifts, the best birthday gifts, just the BEST GIFTS - and you get to support an entity committed to healing sick children....there is no downside to this. There are several bunny dolls in stock right now that would be so amazing for the holidays! There are girl bunnies. Boy bunnies. Gender neutral bunnies. And a discount for two bunnies! Are you enchanted?? Oh and to see each new bunny as it arrives, be sure and follow Bella's Bunnies Instagram! Julia's doll takes our breath away every time we look at her. Beautiful. In every way. The bunnies. The post. All of it! She's working on ballet bunnies as well!! !